Mosspits Lane Primary School is committed to serving its community and surrounding areas. We recognise the multi-cultural, multi-faith and ever-changing nature of the United Kingdom, and therefore those it serves. Mosspits Lane Primary School accepts admissions from all those entitled to an education under British law, including pupils of all faiths or none. It follows the policies outlined by its governing body regarding equal opportunities, which guarantee that there will be no discrimination against any individual or group, regardless of faith, ethnicity, gender, sexuality, political or financial status, or similar. It seeks to serve all. 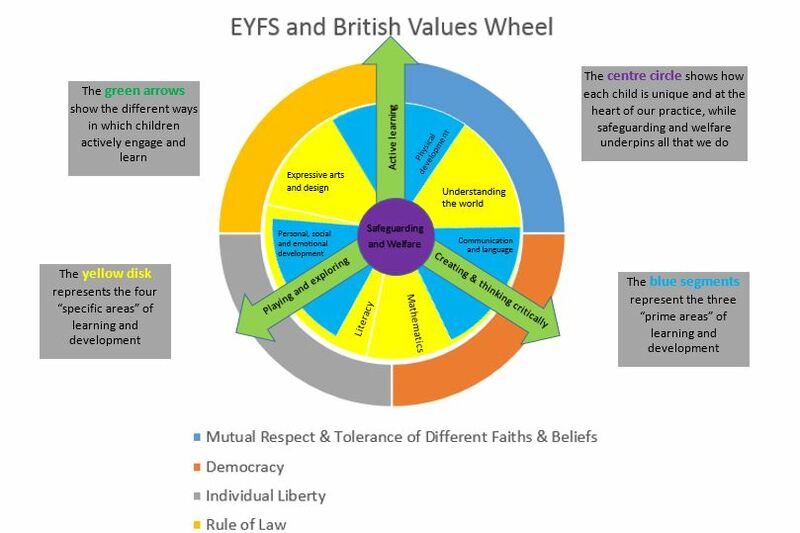 Mosspits Lane Primary School values British democracy, the rule of law, individual liberty, and the mutual respect and tolerance for those of different faiths, beliefs (including non-belief) and backgrounds. We teach British Values through a wide range of activities, some of these are implicit within the National and School Curricula, others are taught through the PSHEe program of study. Using the National Curriculum requirements as a starting point we have developed a scheme of work that promotes the skills required for our children to access/share information, make/express decisions and apply themselves to society and the world. These include the understanding and use of money, effective writing and reading, working together in groups, discussion and debate, researching ideas and concepts, and gain a broad and balanced understanding of the society in which they live. Aspects of study beyond the core skills of English and Maths, include the historical and geographical context of the United Kingdom, including local and national changes, as well as comparisons with other parts of the world. Whole school daily acts of collective worship and assemblies: Through the sharing of stories, images, events, music we promote the Core School Values. We also celebrate the successes and achievements of all members of the school community. The assemblies vary in length and can be conducted in phases or as a whole school; they are lead by senior members of staff, visitors and by the children themselves. At Mosspits Lane Primary School, collective worship takes the form of a 'Reflective Time', we recognise that our children have a wide range of faiths, or none. It is however, in line with regulation and is “wholly or mainly of a broadly Christian character”. Religious Education: Mosspits Lane Primary School follows the agreed Liverpool Syllabus and through its study gains a greater understanding of religious diversity and practices, which covers key religions represented in the locality and in the UK. This one of the key areas to promote the mutual understanding and tolerance of those of different faiths, beliefs (including non-beliefs) and backgrounds. Physical Education: We promote the concept of ‘fair play’, following and developing rules, being inclusive, celebrating and rewarding success, coping with defeat and participation in activities that promote fitness, self-esteem and teamwork. We also promote physical fitness through extra-curricular clubs. School Council: Democracy is modelled through the election of a new class councillor at the start of the new academic year. The School Council is promoted through posters through the school and they have a special seat in assemblies. Each class has a 'suggestion box' into which the class put ideas and comments to be discussed in the school council meetings. Democracy is an integral part of our school life. Children have the opportunity to have their voices heard through our Student Council and Pupil questionnaires. Our children are consulted about, and involved in, many key decisions that are made at Mosspits. The importance of laws/rules, whether they be those that apply to a class, the school, or the country, are consistently reinforced, as well as when dealing with behaviour and through school assemblies. Children are taught the value and reasons behind laws/rules, that they direct and protect us, the responsibilities that this involves and the consequences when laws are broken. Visits from authorities within our community are regular parts of our calendar and help reinforce this message. Within Mosspits, children are actively encouraged to make choices, knowing that they are in a safe and supportive environment. As a school we educate and provide boundaries for our children to make these choices safety, through of provision of a safe environment and empowering education; for example through our E-Safety and PSHE lessons. Whether it be through their choice of challenge, how they record their learning, or their participation in our numerous extra-curricular clubs and opportunities, children are given the freedom to make choices. Our vision and values are at the core of everything we do. They underpin our teaching and learning, and provide an environment which prepares our pupils as confident, happy citizens. Many of the Core Values are connected to Mutual Respect and our children take part in discussions and assemblies related to the values and how they can shown. Posters around the school promote these values and this is reiterated through our classroom and learning rules, as well as in our behaviour policy.